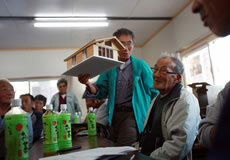 Naoshi Sato, 77, lives in Rikuzen Takata City, Iwate Prefecture. 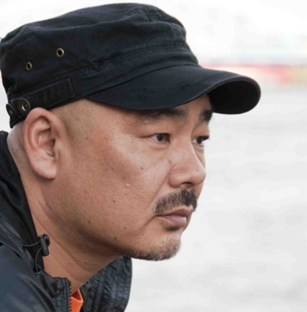 His neighbors call him “boss.” His entire community was affected by a once-in-a-millennium tsunami on March 11, 2011 that destroyed his home. His son, a member of the volunteer fire corps, was also swept away. But he refuses to leave his ruined house despite repeated calls from the town administration to evacuate. Rebuild my home! This is his dream. He is a lumber man. Wood resources are there. 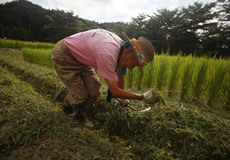 He rents rice paddies from his friends for food. 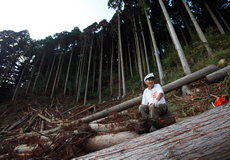 There are vast open fields that the tsunami left behind. 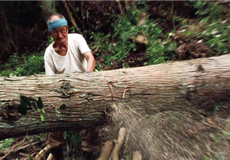 Naoshi heads to the woods with his power-saw to get lumber for his new house. Produced & Distributed by Ren Universe, Inc.